It was around 4 a.m. and day three of our honeymoon, when I was awakened by my new husband. He was tugging on my arm saying, “Chaz, get up! Chaz, get up! Go use the bathroom!” Dazed, sleepy and confused, I said, “My name is Tika, and I don’t have to use the bathroom!” I forced my gaze on him in the almost pitch-black room and noticed he was looking me directly in my face. As if he did not even hear what I said, he continued calling me his brother’s name and telling me to get up and go use the bathroom and I kept telling him my name and that I did not have to use the bathroom. This back and forth went on for about 30 more seconds. Finally, when I didn’t budge, he relented, walked into the bathroom, which was connected to our room and mumbled, “Don’t be mad at me…mumble, mumble, mumble…”. Once he returned from the bathroom, he got back in the bed, laid down and put the covers on himself as if nothing strange just took place. At this point, even though the only concept I had of a sleepwalker was the zombie, closed-eyed person walking with their stiff arms in front of them (usually depicted on old TV shows and cartoons) I was almost positive I was married to one. Thankful that that was the extent of his sleeping episode, I lay there wondering if we passed the annulment period in our marriage already? And somewhere between that thought I fell back to sleep. 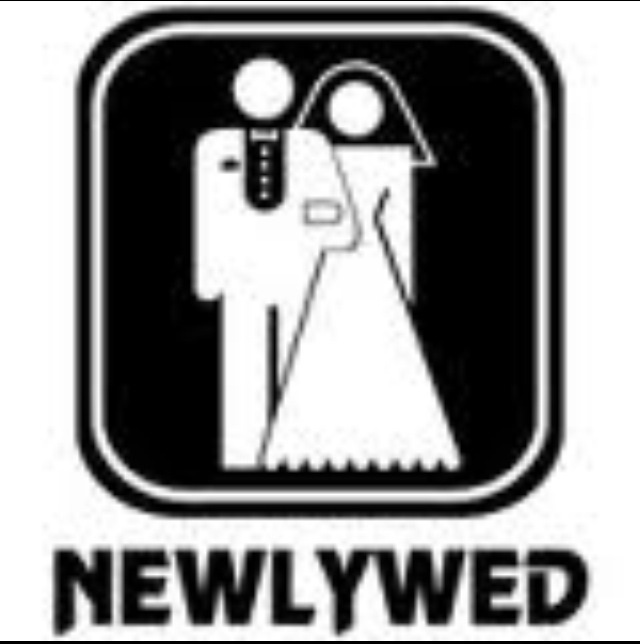 Since then, my married life has been nothing short of this strange yet awesome adventure, hence my new blog section- The Newlywed. It is in this blog that I will share some of the experiences, lessons learned, works in progress etc…that came along with this next step in my life. Feel free to comment and subscribe. Yeah girl, these different phases come and go, but being friends with your mate and having choldren truly helps make the good and bad worthwhile. Thx for commenting. Please stay tuned. Well sis, all I can say is atleast he speaks to you. Keeps staring at me.. freaks the heck outta me.!!! !